A solar flare erupts from the surface of our Sun. 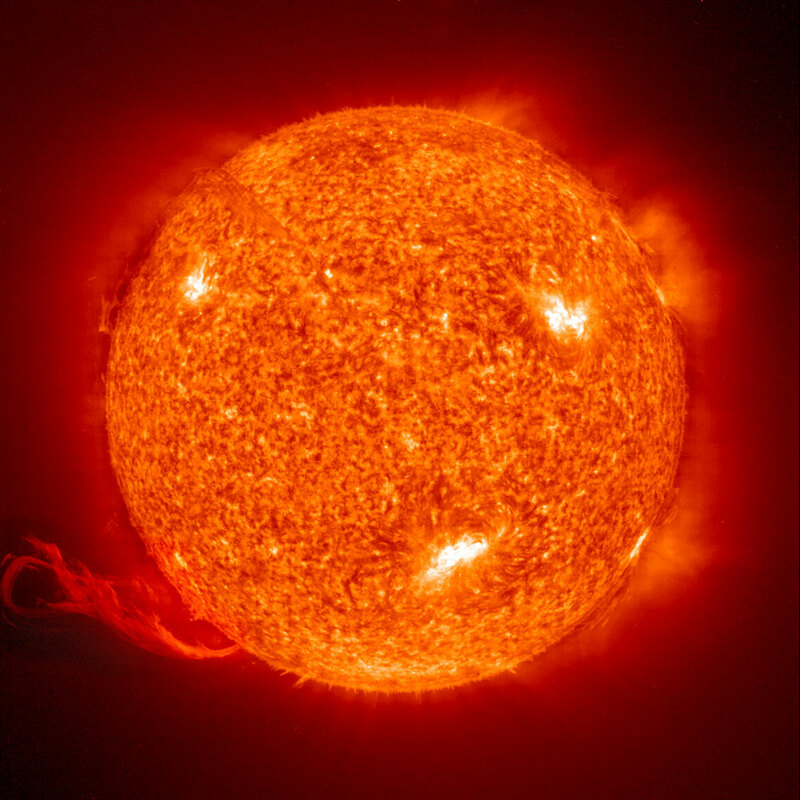 The solar flare is observed by The Solar & Heliospheric Observatory (SOHO – a NASA/ESA spacecraft), the strength of the flare is transmitted to Earth and broadcast via a NASA website, a laptop monitors the website, the laptop communicates with a microcontroller, the microcontroller trips a relay, the relay connects a car battery to a coil of nichrome wire inside a borosilicate glass tube. The result is a tone. Just playing about... I wanted to make an automatic hoot-pipe, so I did (with a little help from RCA technical staff and some advice from some kindly researchers at Imperial College London). Theo Humphries, the author of this website, has asserted his right to post all text/images herein under a Creative Commons Attribution-NonCommercial 4.0 International License. Material that is not the property of Theo Humphries has been identified as such, and may be exempt from Creative Commons.